Sir Patrick Head is back at Williams after seven years away, but what does his return mean for the struggling team he co-founded? Rob Watts looks at the engineering icon's return and the challenges he faces in putting Williams back on track. Williams are a team that have sadly been in decline for some years now, but their start to the 2019 season has been without a doubt the worst in their long and illustrious history. During pre-season, deputy team principal Claire Williams denied the team was in crisis but conceded that it was "embarrassing" for them to have fallen behind with preparation of their 2019 car. After missing the first two and a half days of running, it then became evident that not only was the car late but also worryingly undeveloped compared to its rivals. Williams' chief technical officer Paddy Lowe came in for criticism for his part in the delays but defended his position and future with the team, saying: "What [the team] shouldn't do is go and get rid of people because you've thrown away that experience and that knowledge". 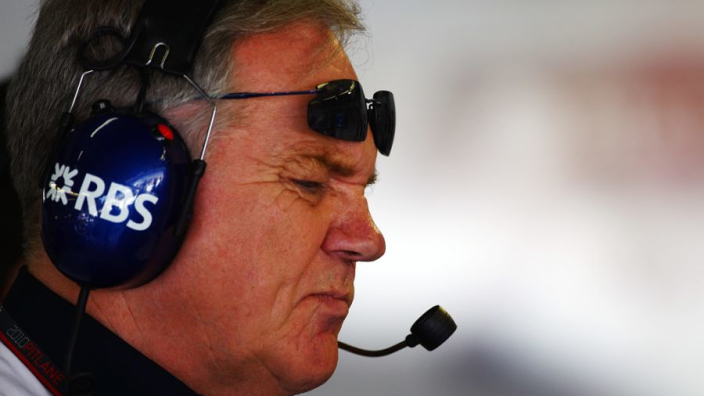 Will Sir Patrick Head's return make a difference at Williams? Ultimately, however, he was made to take responsibility for the delays and just two weeks prior to the Australian Grand Prix, Lowe left the team citing "personal reasons" for his exit. Frustratingly for Williams, Lowe is just one of a series of high-profile technical staff to have left the team in the past 12 months, with chief designer Ed Wood leaving last April after 12 years of service and head of aerodynamics Dirk de Beer also departing just a month later. 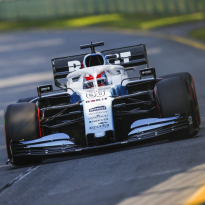 It's clear that not all is well at Williams, and with such a huge performance deficit to recover, the team have had to act fast to further halt their decline. Head's appointment came as a surprise to many given that his recent years have been spent in semi-retirement. Although the team say Head's return is on a part-time consultancy basis only, he will be seen by some as a direct replacement for Lowe in the short-term, and the hope will be that he can save the team's 2019 season from being a complete write-off. 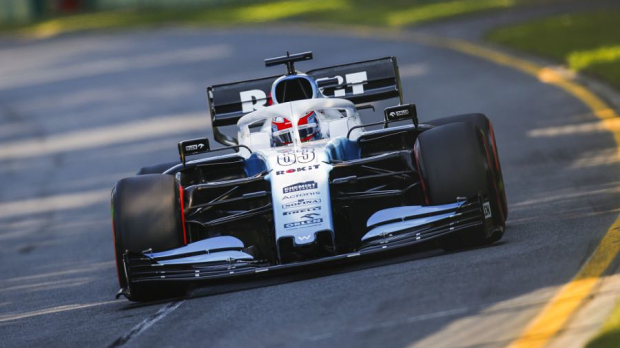 Whether it's too late or not to prevent that remains to be seen, as George Russell suggested the team's FW42 car has a "fundamental" fault that could take months to resolve. 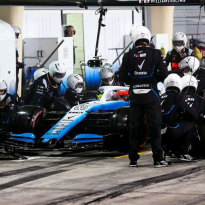 Head's first task is likely to involve overseeing a fix for that problem, and perhaps also to advise on whether a significant performance gain is even likely given the resources at Williams' disposal. Head is well placed to hit the ground running at Williams and his decades of F1 experience, much of it during the team's glory years of the 1980s and 90s, ensure he'll command instant respect from all corners of the organisation. He knows the team inside out and remains both a shareholder and close trusted friend of team owner Sir Frank Williams. His reputation for being a ruthless taskmaster is perhaps the approach Williams desperately need right now. 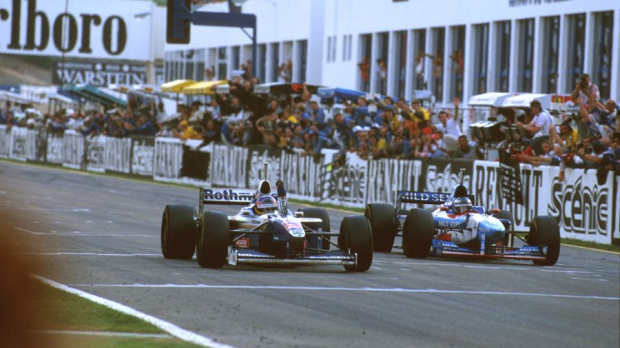 For a team that spent much of the 1980s and 1990s being the dominant force in F1, it's clear that standards have slipped. If there are individuals within the team who either lack the desire, the determination or the guts to tackle the fight that lies ahead, you can be certain that Head will call them out. He won't suffer fools, and will not shy away from making difficult decisions. Seven years away from F1 make it difficult to see Head returning in a full-time capacity, and at 72, he'll surely only be considered a short-term option. Head will, however, play a hugely important role in shaping Williams' short to medium-term prospects and could yet be the instigator for significant change within the team once he's completed his initial assessment of the situation. A busy to-do list is likely to land in Head's inbox by the time he arrives in Shanghai for the Chinese Grand Prix in two weeks' time, but one of the first questions he'll be asking is, just how did Williams end up in this mess? It's a big question, and the answer is likely to be complex. It appears as though a blame culture developed at Grove in recent years and the departure of several key members of the team is not a good sign. The recently departed Lowe was quoted by Autosport as saying that Williams had to "get out of this mindset that there are just two or three things to fix and then everything will be OK, and we'll be winning races". Lowe even admitted it was a mindset he, himself, had mistakenly developed since joining the team. While the current situation is nearing rock-bottom, the team's performance has been declining for a few years now. But is that a budget issue, or have poor management decisions contributed to the mess Williams find themselves in? Head's analysis of how the engineering departments are working, and also how smoothly (or not) the track-side operations have been run will provide a huge hint as to where the problems lie. With decades of title-winning pedigree, Head understands well how successful race teams operate and how the issues Williams experienced during pre-season can be avoided. Aside from their poor performance on track right now, another pressing concern at Grove surrounds their long-term future as a constructor, and in particular, what their stance will be when F1 finally rubber stamps its proposal for the 2021 rules. Williams find themselves stuck in a difficult situation as F1 has evolved considerably since the last time they were a force at the sharp end of the grid. The power has shifted heavily away from the independent teams, regardless of time or standing in the sport, and with Williams being neither a manufacturer team or a having a strong link to one, they're now caught in no man's land, facing an identity crisis and no clear route back to the top. For some time, Claire Williams has reiterated that she will not consider partnering with a manufacturer if it means Williams becomes a de facto B team or junior team as a result. Williams believes that the team her father co-founded with Head must remain a true constructor in the sense that they insist on designing and building almost every part of their car, aside for the engine. Williams has argued her case against teams adopting the 'Haas model' of buying in parts and sharing resources with a larger manufacturer team. The problem for smaller teams like Williams though, is that may be the only way now to be competitive yet remain financially stable at the same time. With Head now back on the scene, he may be well placed to inject a dose of reality back into the organisation surrounding the crossroads they appear to be at. Williams, as a racing team, must accept the glory days are long behind them, and Head must help the team to reach that conclusion too for the sake of their future. Having played a key role in all nine of Williams' constructors' titles between 1980 and 1997, Head knows all too well how difficult it is to remain at the top in F1 and how it's even tougher to get back up there when you've fallen. For Williams, pride is certainly at stake but it's also what's preventing them from moving forwards right now. Becoming a financially sound upper midfield team has to be a more appealing prospect than life as a stubborn, once-great constructor forced out of the game because they were too proud to change.